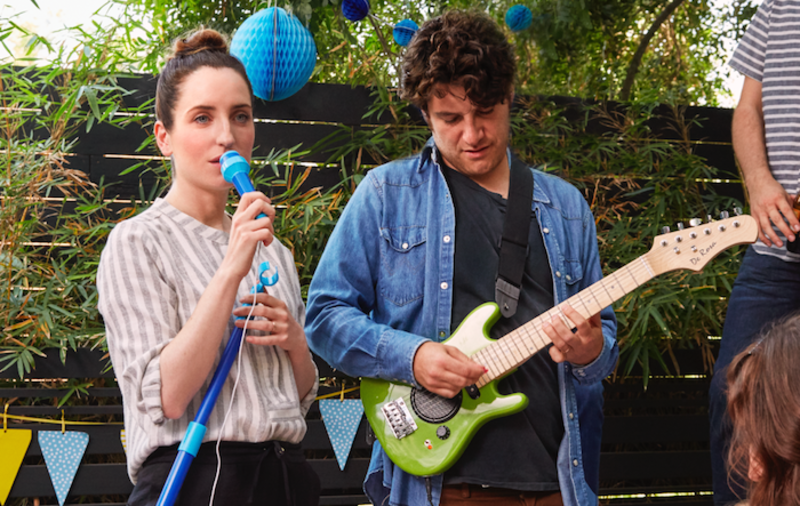 Songs from a Marriage: Zoe Lister-Jones on "Band Aid"
Writer/director/star/lyricist Zoe Lister-Jones talks about her new film, "Band Aid." Scroll down for my earlier entries. The first five Sundance entries I've seen are the kinds of film the festival exists to showcase. It is possible that many of them won't ever open in most of the places you readers live, but you've impressed me with your resourcefulness in finding them anyway (and no, I don't mean piracy). You guys demonstrate that if you want to find a movie badly enough, you often can. One of them, "Homewrecker," is for rent right now via YouTube, in keeping with the festival's Reinvention/Rebirth/Renewal and its embrace of new distribution channels such as the net and regional art cinemas. That one and "Armless" are playing in the new Sundance section named NEXT, which specializes in movies with "low to no budgets." The guidelines specify budgets below $500,000, and both of these look closer to half a million than to "no."